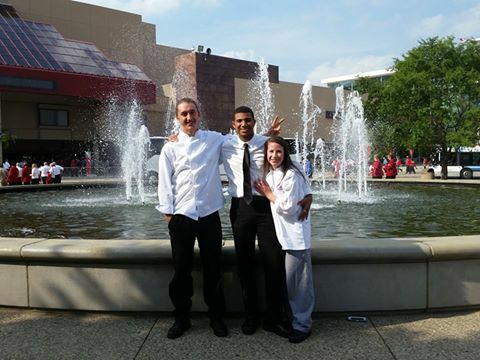 Congratulations to Zachary Powell, Tahliq Mills and Kathryn Brouillette for a job well done at the SkillsUSA National Leadership and Skills Conference in Louisville, Kentucky. Great representatives of JWU and NSO! 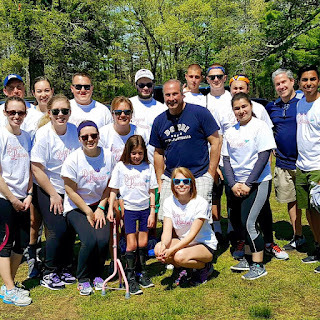 On Saturday, May 14th, friends, family and NSO members gathered for the first annual Bravest Lauren 5K Walk to support Lauren, a young girl diagnosed with two genetic conditions: Noonan Syndrome and Charcot-Marie-Tooth (CMT). Doctors believe she is the first person born with these two conditions. For this reason, friends, family and the Rhode Island community rally with her. Noonan Syndrome is caused by a gene mutation and results in short stature and extremely low muscle tone. An estimated 2.8 million people worldwide have CMT, a type of neuropathy where nerves are damaged. Lauren has CMT Type 1A. 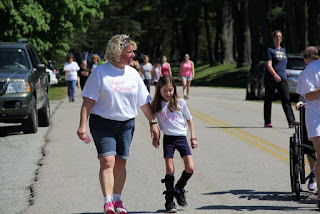 At age 9, Lauren’s feet began to turn under, making it hard for her to walk. She underwent 2 surgeries this year to correct her feet, and as a result, she does not walk with pain anymore. While there is no cure for either genetic condition, the CMT Foundation indicates that there are drug tests in progress for CMT Type 1A. Lauren is 12 years old and loves the color pink, which is present on this year’s 5k Walk t-shirt. “That’s why we’re wearing it,” she says. Lauren hopes to study Baking & Pastry Arts at Johnson & Wales University in the future. Her mother, Jeanne Blanchette, is a member of the University Admissions team and feels blessed and humbled that people are rallying with her daughter. It was her sister and brother-in-law, MaryBeth and Dave, who initially came up with the idea to help raise awareness. In the end, the idea transformed into a fundraiser for Lauren. Blanchette estimates that approximately 300 people attended the event, garnering $35,000 for future bills. As thunderous applause erupted when Lauren crossed the finish line, people were incredibly inspired to witness a young girl putting up a fight, one 5K at a time, and always with a smile on her face.